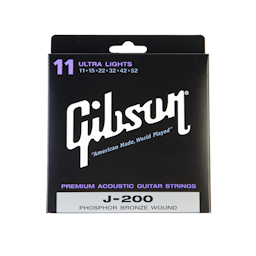 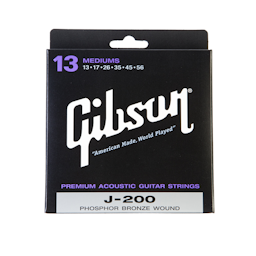 These J-200 strings utilize Gibson’s heralded production standards to achieve the proprietary mix of phosphorus and bronze. 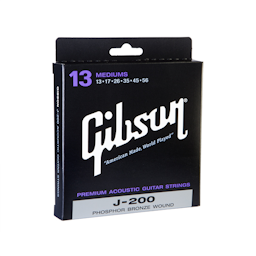 To produce the strings – the very same that come with Gibson Acoustic’s J-200 models – Gibson relies on a slow-winding process, resulting in richer tones and a longer lifetime. As a finishing touch, the ends of the J-200 strings are silk-wrapped to reduce saddle wear and eliminate sympathetic overtones.